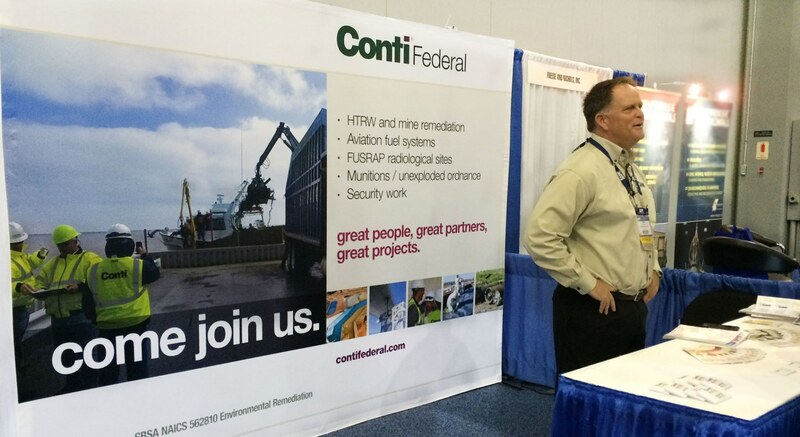 Members of Conti Federal Services’ project management team attended the Society of American Military Engineers (SAME) Small Business Conference in Atlanta, Georgia today as part of Conti’s long term commitment to supporting small businesses. Conti’s Environmental Program Manager, Andy Weber, and Chief Operating Officer, Bill Picken, exhibited along with 300 other small businesses. With over 2,300 attendees, the conference garnered the highest attendance SAME has seen to date. Among the attendees were industry professionals representing government agencies such as the United States Army Corps of Engineers and Naval Facilities Engineering Command.